There is a story about a Spartan boy who, in order to conceal a fox which he had stolen, hid it beneath his cloak and allowed the fox to gnaw him rather than let the theft be revealed. He died of the wounds. If he had been discovered, the disgrace would not have been in the stealing, but in allowing it to be detected. 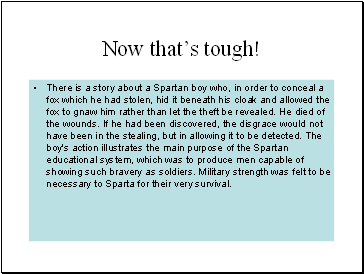 The boy's action illustrates the main purpose of the Spartan educational system, which was to produce men capable of showing such bravery as soldiers. Military strength was felt to be necessary to Sparta for their very survival. 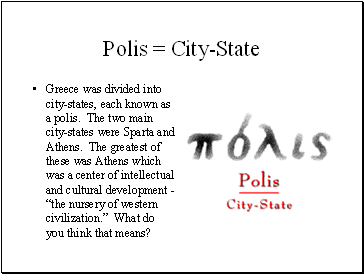 Greece was divided into city-states, each known as a polis. 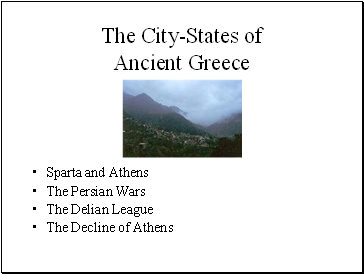 The two main city-states were Sparta and Athens. 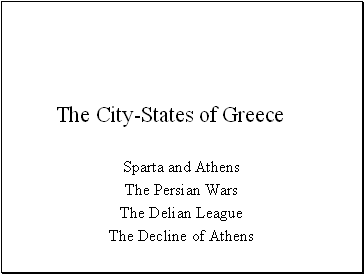 The greatest of these was Athens which was a center of intellectual and cultural development - “the nursery of western civilization.” What do you think that means? 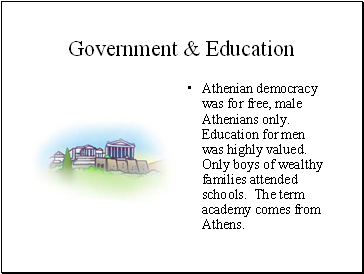 Athenian democracy was for free, male Athenians only. Education for men was highly valued. Only boys of wealthy families attended schools. 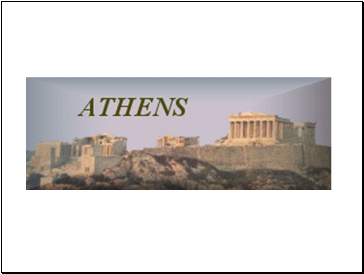 The term academy comes from Athens. 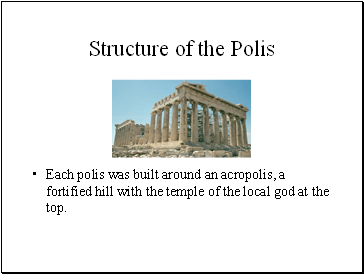 Each polis was built around an acropolis, a fortified hill with the temple of the local god at the top. 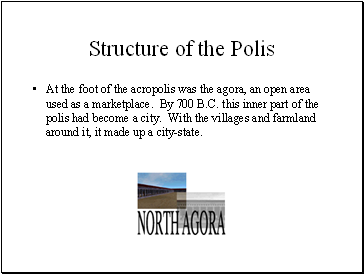 At the foot of the acropolis was the agora, an open area used as a marketplace. By 700 B.C. this inner part of the polis had become a city. With the villages and farmland around it, it made up a city-state. 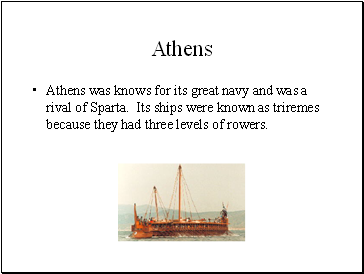 Athens was knows for its great navy and was a rival of Sparta. Its ships were known as triremes because they had three levels of rowers. 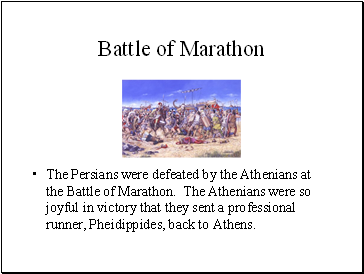 The Persians were defeated by the Athenians at the Battle of Marathon. The Athenians were so joyful in victory that they sent a professional runner, Pheidippides, back to Athens. A run extraordinaire. . .